This post will summarize what happened to my portfolio in July of 2018. I will use data as of 8/17/2018 in this post (I am usually late to post the previous month's report). First we will summarize what happened in the general markets. 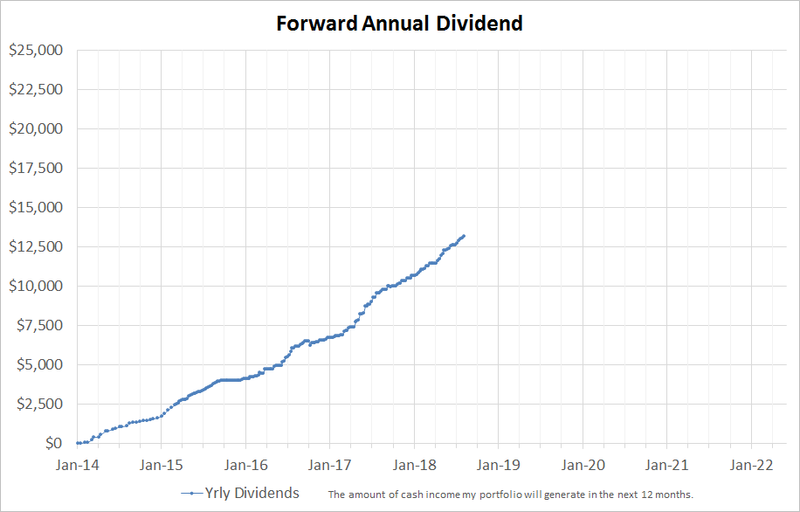 This blog summarizes my multi-decade long project of dividend investing. 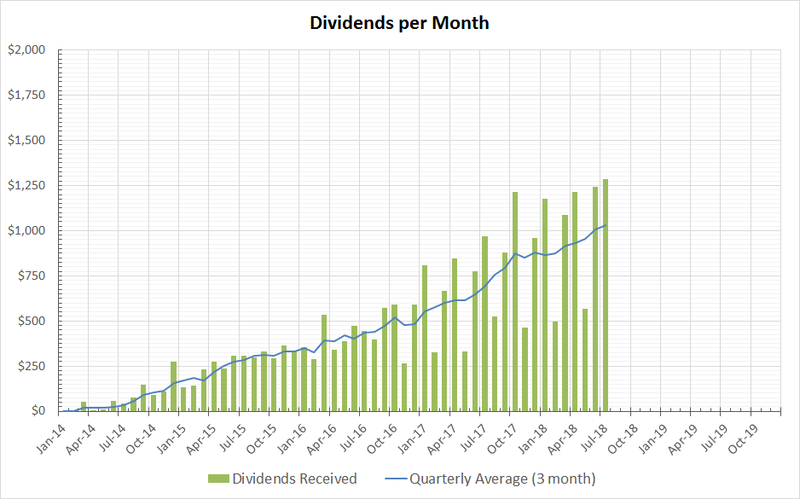 My purpose is to build passive dividend income that can grow by itself annually. The most important objective is the safety of the dividend, the self-sustaining ability of the companies to increase their dividends, and the overall growth of my passive income in the future to support myself. All results and dollar results shown here are that of my own and funded with my own hard earned cash. The S&P500 index did very well in July. As a result my portfolio saw a decent increase in value. The rise has large support from the Consumer Staples sector. I have 31% of my portfolio in consumer staples so this boost really helped the portfolio value growth. 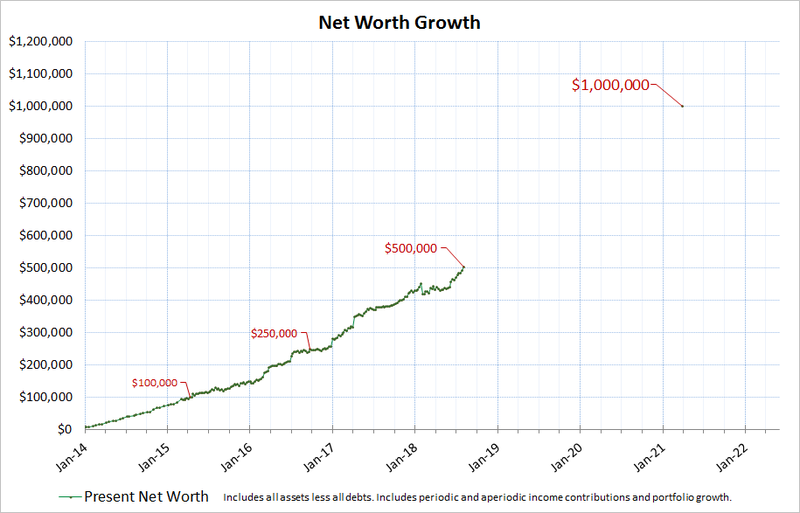 With a combination of market growth and increasing investment from my biweekly salary contributions, my portfolio has crossed the $500,000 threshold with high velocity.